Yesterday Apple announced their Mac App Store Best of 2012, and we are elated to find that Sandvox was one of the honorees! Such a great array of apps! 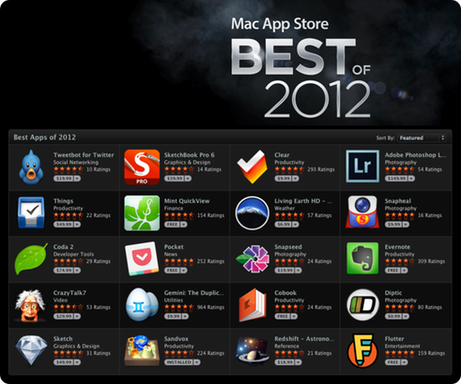 Along with Day One, App of the Year, there were twenty titles including Sketch, Evernote, Coda 2, Things, and Tweetbot. Thanks to Apple for including us on the list. And congratulations to all of the inductees!